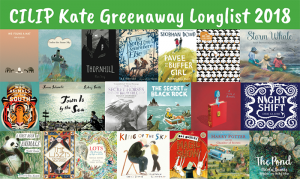 The CILIP Carnegie and Kate Greenaway longlist for 2018 were revealed this morning. The shortlists for both will be announced on the 15th of March, when the shadowing process will also begin. Teachers, librarians or parents interested in running a shadowing group can register it on the website, where they will also be able to access resources for discussing and reviewing the books on each shortlist. 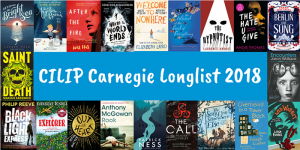 Here are the books that have been longlisted. Do you have a favourite? Posted on February 15, 2018 by Laura Brett. This entry was posted in Book awards and tagged Book Awards, Primary, Secondary. Bookmark the permalink.